Ombeline has studied at the Conservatoire de Paris, a college of music and dance that was founded in 1795. She is now a composer and arranger for strings and choir, and the first violin of the string quartet 4NOIA“. Besides, she works as a violinist free-lancer, choir conductor, music teacher and has written 6 albums for her band Les Fragments de la Nuit. When she isn’t composing or playing music, she loves to create things with her hands; sewing clothes, painting, knitting, and solving puzzles! [18:15] – How easy is it really to become an artist? [19:17] – Is there a lack of people who do what they truly what? Is it a result of society? [33:40] – Can you teach music as a way of acquiring financial freedom? Roald Dahl, a British novelist, short story writer, poet, screenwriter, and fighter pilot. 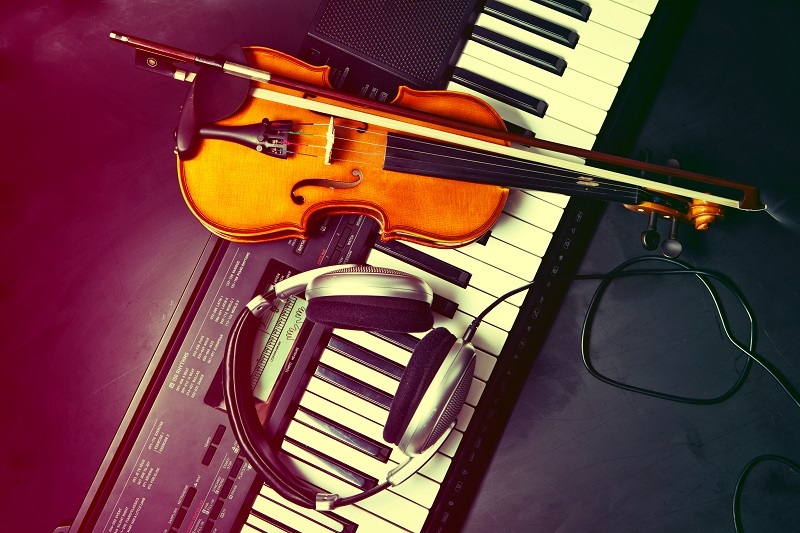 Check out this blog post by the Sonicbids Blog on “6 Qualities That All Successful Musicians Have“. A really good read for anyone who wants to become a musician! Avoid doing the Top 10 Mistakes When Trying to Become a Musician. See musician Tom Hess’ article on how you can avoid these mistakes! Wondering if you need an education to start a musical career, or what the average salary for a musician is? See this article by The Art Career Project to find out more! Listen to what Dave Grohl from the American Rock Band Foo Fighters has to say about how to become a successful musician. This TED-video with Benjamin Zander is about the transformative power of classical music. A hilarious and educational video- an absolute must watch! Thanks for checking out this episode with musician Ombeline! We really hope it helped answer your questions! Do you want to become a musician? What instruments do you already know how to play, or want to learn how to play? Let us know in the comment field below!